HOME is another of the Idaho down payment assistance programs which offers zero percent interest deferred loans that are payable upon non-occupancy or sale of the home. If a borrower’s total household income amounts to less than 80 percent of the area’s median income they may qualify for this program. Additional requirements include: The borrower’s assistance can range from a minimum of $ 1,000 to a maximum of 3.5 percent of the home’s purchase price. All of these costs can be no more than a total of $ 8,000. The level of assistance available is based on the borrower’s income and the average median income of the area where the home is located. Occupancy is required to receive benefits from the program. The amount of the total cash loan is due on the sale of the property. The borrower must make a minimum initial investment of at least $ 500. Prior to occupancy, the home must have been vacant or occupied by the owner. 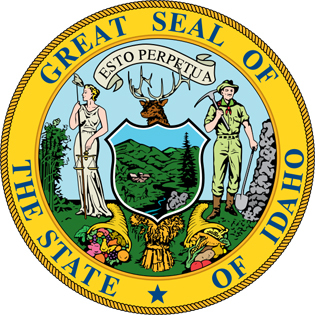 If a homebuyer’s annual income totals no more than $ 90,000, they may qualify for Idaho’s Good Credit Rewards, which gives them assistance with a 10-year, fixed rate down payment and closing costs. Borrowers must have a second mortgage and good credit–a score of 700 or higher–to qualify. Additional requirements include: Second mortgage cannot exceed 3.5 percent or $ 8,000, whichever is less. The borrower must make a minimum initial investment of at least $ 500. FHA standards must be met to qualify for this program. Rewards are based on need. Liquid assets are limited to three months of income or $5,000, whichever is greater. This entry was posted in Idaho and tagged down payment assistance, grants, housing authority, idaho, programs. Bookmark the permalink.